A Taste of Charlie Trotter exhibit runs through September 29 in Harold Washington Library Center's Special Collections Exhibit Hall on the 9th floor. From a self-guided culinary education to celebrity chef, Charlie Trotter and his innovations and influence on Chicago dining are the subjects of a new exhibit. Behind the elegant façade of his brownstone restaurant in Lincoln Park, Trotter popularized tasting menus and a chef’s table in the kitchen. And he never served the same dish twice. 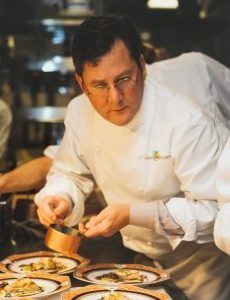 For 25 years, Charlie Trotter’s was the nerve center for a new approach to American food, where he launched his acclaimed PBS cooking show, Kitchen Sessions with Charlie Trotter, held charitable events featuring celebrated international chefs and hosted educational programs for local school children. Trotter’s legacy includes a legion of nationally acclaimed chefs who trained under him and the Charles and Rochelle Trotter Culinary Endowment that awards need-based scholarships to culinary students. 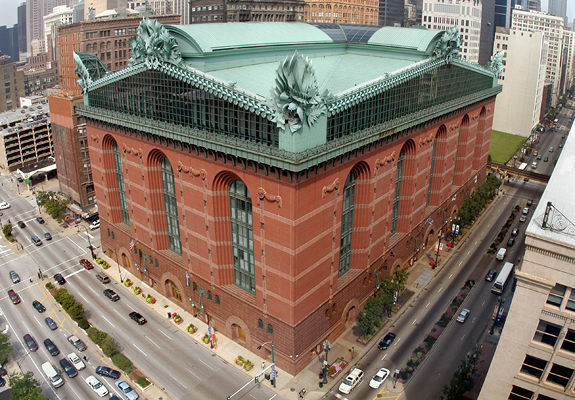 The exhibit draws on and coincides with the opening of the Charlie Trotter Collection and the Charlie Trotter Cookbook Collection in Special Collections at Harold Washington Library Center. Donated by Mrs. Rochelle Trotter, these collections feature a combination of personal manuscripts, menus, photographs, artifacts and publications related to Charlie Trotter and his Chicago restaurant. Join us for a gallery talk on Tuesday, Feb. 26 at 6:00 p.m. in the Special Collections Gallery on the ninth floor of the Harold Washington Library Center. The curator and archivist will share highlights from the exhibit and more stories from the Charlie Trotter Collection.